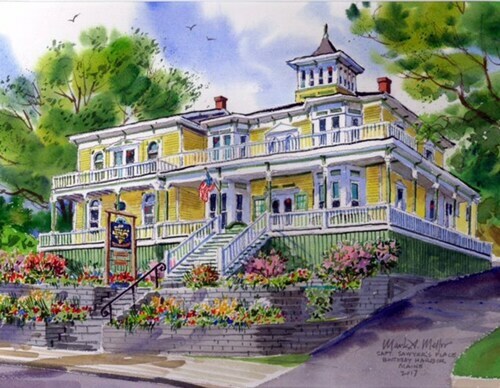 Situated in Boothbay Harbor, this hotel is within a 15-minute walk of Boothbay Region Historical Society Museum and Opera House at Boothbay Harbor. Boothbay Harbor Memorial Library and Boothbay Harbor Marina are also within 1 mi (2 km). Situated in Boothbay Harbor, this hotel is within a 5-minute walk of Burnt Island Living Lighthouse, Boothbay Harbor Marina, and Boothbay Harbor Memorial Library. Opera House at Boothbay Harbor and Boothbay Region Historical Society Museum are also within 15 minutes. 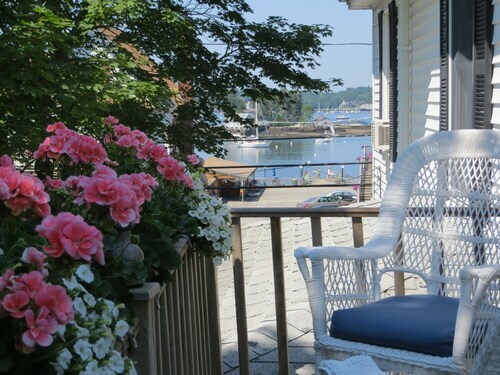 Situated on the waterfront, this motel is within a 10-minute walk of Fisherman's Memorial Park, Boothbay Harbor Marina, and Boothbay Harbor Memorial Library. Burnt Island Living Lighthouse and Opera House at Boothbay Harbor are also within 10 minutes. 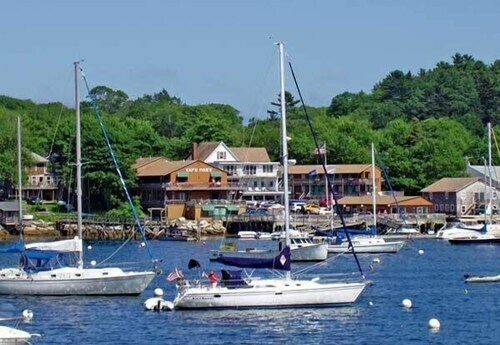 Situated in Boothbay Harbor, this hotel is within a 10-minute walk of Fisherman's Memorial Park, Boothbay Harbor Marina, and Barrett Park. Juniper Point and Boothbay Harbor Memorial Library are also within 15 minutes. Situated in Boothbay Harbor, this bed & breakfast is within a 5-minute walk of Burnt Island Living Lighthouse, Boothbay Harbor Marina, and Boothbay Harbor Memorial Library. Opera House at Boothbay Harbor and Boothbay Region Historical Society Museum are also within 15 minutes. Situated near the beach, this hotel is steps from Boothbay Harbor Marina, Burnt Island Living Lighthouse, and Boothbay Harbor Memorial Library. Opera House at Boothbay Harbor and Boothbay Region Historical Society Museum are also within 10 minutes. Situated by the ocean, this bed & breakfast is steps from Burnt Island Living Lighthouse, Boothbay Harbor Marina, and Boothbay Harbor Memorial Library. Opera House at Boothbay Harbor and Boothbay Region Historical Society Museum are also within 15 minutes. 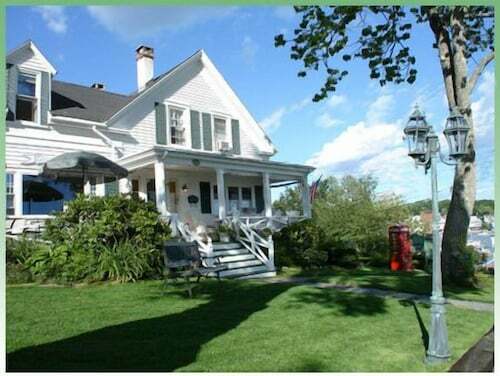 Situated by the ocean, this bed & breakfast is steps from Opera House at Boothbay Harbor and Boothbay Region Historical Society Museum. Boothbay Harbor Marina and Boothbay Harbor Memorial Library are also within 10 minutes. Situated in Boothbay Harbor, this golf apartment building is steps from Boothbay Harbor Marina, Boothbay Harbor Memorial Library, and Burnt Island Living Lighthouse. Opera House at Boothbay Harbor and Boothbay Region Historical Society Museum are also within 10 minutes. 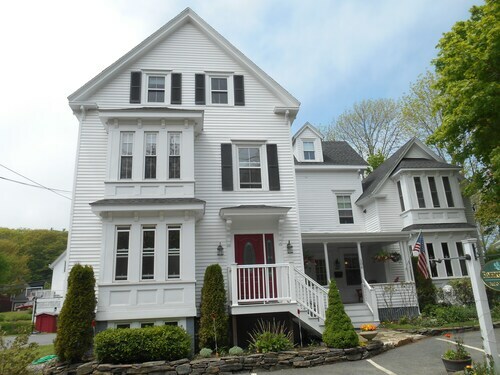 Located in the heart of Boothbay Harbor, this bed & breakfast is within a 5-minute walk of Opera House at Boothbay Harbor, Boothbay Harbor Marina, and Boothbay Harbor Memorial Library. Burnt Island Living Lighthouse and Cabbage Island are also within 2 mi (3 km). Situated in Boothbay Harbor, this golf apartment building is steps from Burnt Island Living Lighthouse, Boothbay Harbor Marina, and Boothbay Harbor Memorial Library. Opera House at Boothbay Harbor and Juniper Point are also within 10 minutes. 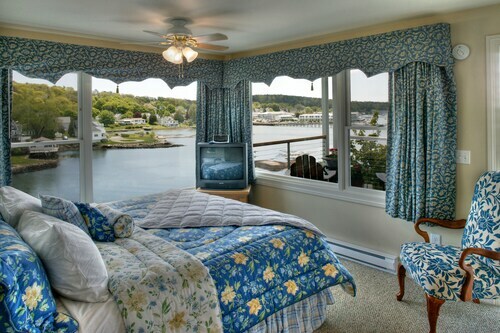 Situated in Boothbay Harbor, this romantic bed & breakfast is within a 10-minute walk of Fisherman's Memorial Park, Barrett Park, and Boothbay Harbor Marina. Juniper Point and Boothbay Harbor Memorial Library are also within 10 minutes. Wander back through time when you visit Burnt Island Living Lighthouse. 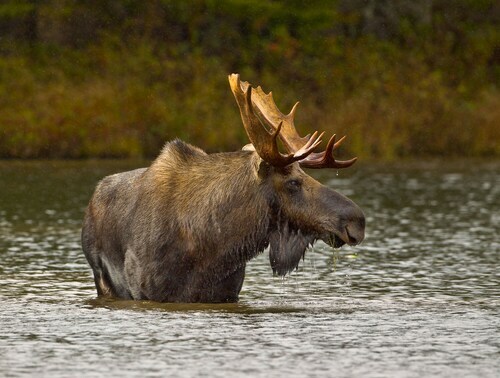 You can visit it when you make your way to Boothbay Harbor, 110 miles (177 kilometers) outside of the state capital, Concord. For easy access to Burnt Island Living Lighthouse, take a room at one of the 12 hotels that are a short drive away. 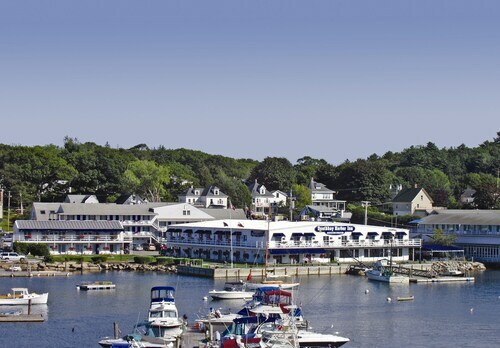 Just 0.3 miles (0.5 kilometers) away, you can hang your hat at the Boothbay Harbor Inn. Two other places are the Fishermans Wharf Inn, 0.06 miles (0.10 kilometers) away, and The Thistle Inn, 0.4 miles (0.6 kilometers) away. For quality service at a reasonable price, you might like to consider a budget hotel. You might wish to look into the Beach Cove Waterfront Inn which is only 0.7 miles (1.1 kilometer) away. An alternative solution is the CAP N FISH'S WATERFRONT INN, just 0.3 miles (0.5 kilometers) away. There's nothing as good as walking around somewhere new to build up an appetite. After seeing Burnt Island Living Lighthouse, you can fill up just five minutes away, at Blue Moon Cafe Boothbay Harbor. There are more extensive food possibilities also close by at Ports of Italy. If you still want more, consider stopping for a drink at Fisherman's Wharf Inn & Restaurant. 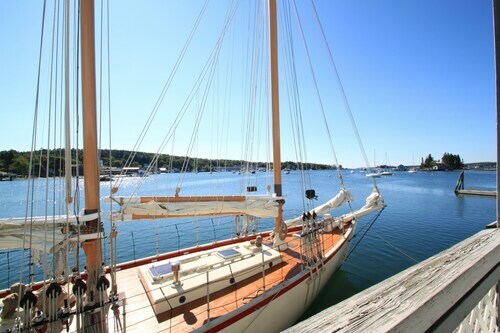 During your time here, make sure you go and see Boothbay Harbor Marina, a marina. If you're hoping to visit a quiet place where you'll have the opportunity to challenge your intellect, head over to Boothbay Harbor Memorial Library, a library with excellent collections and resources. Embark on a journey back through previous chapters when you take a ride down Boothbay Railway Village. Opera House at Boothbay Harbor boasts exhibits, music shows and courses that are sure to lend you a deeper understanding of the arts scene of the area. There's no better place to relax than Fisherman's Memorial Park. Flip through your favorite magazine, kick a ball around with the kids or simply enjoy the serenity that surrounds you in this idyllic urban sanctuary. How Much is a Hotel Room in Burnt Island Living Lighthouse? Hotels in Burnt Island Living Lighthouse start at $99 per night. Prices and availability subject to change. Additional terms may apply.